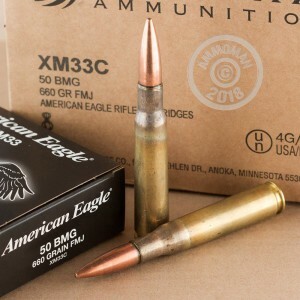 Let's face it: Shooting .50 BMG puts holes in both your target and your wallet. 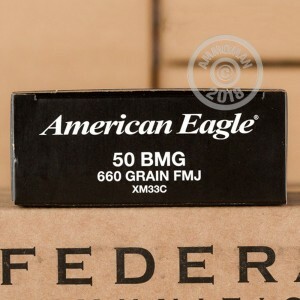 Keep your costs down with Federal's economical .50 BMG load. This round fires a 660 grain full metal jacket bullet at a muzzle velocity of 2,910 feet per second. 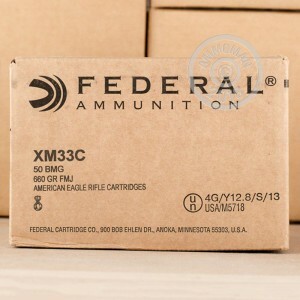 This ammunition is similar to that used by the US military. It is manufactured under contract at the Lake City Army Ammunition Plant in Independence, Missouri.